Morning! We’re busy programming #HIFF12. We have quite a few surprises in store so stay tuned! What would u like 2 see at #HIFF12 this year? Got that tweet from HIFF Hamptons (@HamptonsFilm) this morning so I started thinking about what I would like to see at HIFF this year. (Note that HIFF is a terrific festival: compact, on-site, over the Columbus Day Weekend, with great films, great parties, and many opportunities to meet filmmakers. See the bottom of this article for links to earlier stories in QPORIT on earlier HIFF's). I’ll take my role as amateur, volunteer, unpaid, unheeded(?) HIFF Programming “consultant” quite seriously, and suggest some ideas for the Hamptons International Film Festival 2012. Note that I haven’t seen any of the films I’m mentioning; they are film’s I’d love to see at HIFF, not films I can “recommend”; I’m expressing an interest, based on the director, cast, and story, not making a recommendation. Short narrative films on the web are rapidly gaining in importance and quality. The web is a natural destination for this format (a format that has not had great traction in theaters since the invention of the feature film!) Comedy sites and webisodes enhance the prominence of web video. HIFF itself posted a story recently about web video and online video festivals. It would be interesting to have a program of the best web short narrative films, comedies and webisodes, followed by a panel discussing this new opportunity for filmmakers. Last year there were many feature films in 3D. The trend is continuing. HIFF showed PINA in 3D. There are also 3D consumer cameras. A new VR device (Oculus Rift) that made a big stir on KickStarter (raising over $1M is 24 hours) in an indication of continued development of improved 3D viewing outside of theaters. It would be very interesting to have a panel discussing both feature films in 3D and consumer 3D filmmaking. The panel could discuss technical issues, creative quality issues, and projections for the future. It would be interesting to have a wide ranging discussion based on issues raised in this category of film presentations with filmmakers and public figures. It would be great also to have Angelina Jolie’s LAND OF BLOOD AND HONEY shown (out of competition) together, perhaps, with a retrospective of best films from previous years, related to this panel. Like the panel with the Breakthrough Actors, it would be interesting to have a panel to meet Breakthrough Filmmakers, directors coming to HIFF early in their career. I am planning to videotape interviews – mostly in 3D – throughout the festival. Many journalists and many “civilians” attending HIFF will be taking pictures and videos of things they see, and their reactions. Web video uploads are becoming ubiquitous. It would be very interesting to have a (lightly curated!) channel on YouTube (and/or Google+) where videos could be uploaded and then have a screening room with a large screen monitor (3D I hope!) connected to a computer. The room would be monitored, and selections from the uploaded videos could be played continuously – either randomly, at the selection of the curator, or on demand by the audience. Additionally, some events (eg Red Carpets) could be streamed live through Google+ Video Hangouts or other streaming services. This room would also be the natural venue for a PROGRAM OF NARRATIVE WEB VIDEOS and for the WEB VIDEO PANEL and the 3D FILM AND VIDEO PANEL. Note: The YouTube Channel, Google+ circle, twitter feed, etc would be visible publicly and externally. The screening room would make it possible and easy for HIFF attendees to view it conveniently on a large screen (and in 3D when the source is 3D) on site. I do hope there will be many of the European Rising Stars at this year’s festival. It would be interesting, also, to have new films from Breakthrough Actors of previous years. Alba Rohrwacher is in one film mentioned below; Anais Demoustier has been in many fine films; Anamaria Marinca & Hannah Herzsprung (at HIFF twice! ), Zrinka Cvitesic, etc are all having very interesting careers. Robin Singer and Mikal Evans were nicely paired in KISSES CHLOE shown recently at HIFF. They each have new projects I’d like to see. Robin has made a short film called POST. She’s currently starting an OOB run in Electra. She’s terrific and smart. Mikal appeared in GAME CHANGE and is in a new film HOW WE GOT AWAY WITH IT (so new it may not be finished). She’s also a great singer, with a new, exciting and interesting sound – Aside from her film, I’d love to hear her do a set at the OPENING NIGHT PARTY. CERTAIN PEOPLE (aka KATINKAS KALAS) is a Swedish film shown at the Tribeca Film Festival, starring Mia Mountain. Mia is potentially (depending on the role) one of the most beautiful women around or one of the most tormented. I’ve seen her at a LAByrinth Theater event in a monologue she wrote, and she was powerful. She was nominated as a Rising Star in Sweden, and is currently in the cast of the (amazing) show, Sleep No More. ANOTHER KIND (shown at the Woodstock Film Festival) is a low budget thriller by Jonathan Blitstein, a smart, energetic, ambitious producer/director/actor. Jonathan won a NYIT playwriting award recently for Keep Your Baggage With You, an OOB play at Theater For the New City. Brit Marling was a breakout star at Sundance with ANOTHER EARTH (which she co-wrote and starred in). She’s articulate, with a fresh perspective on films and filmmaking. She’s in Robert Redford’s THE COMPANY YOU KEEP, ARBITRAGE with Richard Gere (which will probably be commercially released in September), and in THE EAST (which she also co-wrote) with Alexander Skarsgård, Ellen Page and Julia Ormond. Actually, I was in a short film myself: Andrew Serban’s WEST SIDE GIRL, which has been in a number of festivals. It would be great fun to be able to interview (as a journalist) myself (as an actor) on the Red Carpet. a) It should be a big enough venue to hold everyone (and their parked cars) comfortably. It should have a lot of good food that can be circulated easily. Gurney’s Inn was better than last year’s venue, but something needs to be done at Gurney’s Inn to provide more parking. d) If filmmakers and actors had large name tags with the name of their film in large letters, that would also help both them and the Press (and the Patrons/Founders). A casual buffet on the last day of the festival is a nice way to meet again with people you’ve seen during the festival, and find other people you’ve missed connecting with the last few days! One of the main reasons for films and filmmakers (including actors) to participate in a film festival is the promotional benefits they may obtain to further their commercial objectives (successful film run, more jobs, more money, etc). The printed Press Kit should be available in sufficient numbers and conveniently filed, so any request for a press kit can be simply and quickly fulfilled, through the end of the festival. To make it easy for the audience to attend films, East Hampton and other towns showing films at HIFF should make more parking available, closer to the film venue, with more than a 1 hour limit. Probably the easiest way to accomplish this – other than changing to a 3 hour time limit for everyone during HIFF -- would be to issue a parking pass along with every film ticket that hangs on the rear view mirror or lies under the front window and allows parking for, say, 30 min before the film through 45 min after. 90-year-old Alain Resnais' YOU AIN’T SEEN NOTHING YET. Ben Affleck, Bryan Cranston, Alan Arkin, John Goodman and Kyle Chandler. Julie Christie, Susan Sarandon, Terrence Howard, Anna Kendrick, Stanley Tucci, Chris Cooper, Brit Marling and Nick Nolte. Keira Knightley, Jude Law and Aaron Taylor-Johnson. Elle Fanning, Alice Englert, Christina Hendricks, Annette Bening and Alessandro Nivola. Philip Seymour Hoffman, Mark Ivanir, Imogen Poots, Christopher Walken and Catherine Keener. Liana Liberato, Jennifer Connelly, Greg Kinnear, Lily Collins and Kristen Bell. 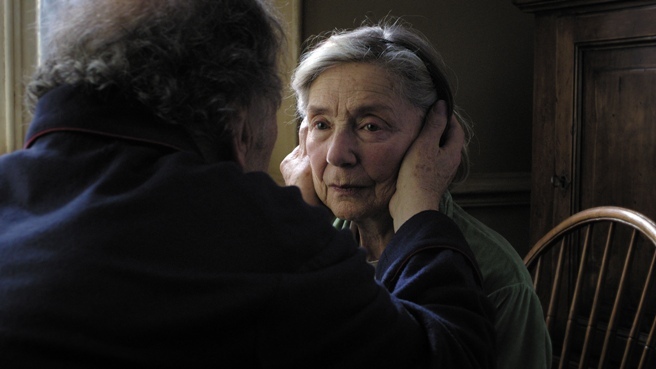 The main slate of selections for the 50th New York Film Festival (September 28-October 14) comprises 32 feature films, including films by such notable directors as Olivier Assayas, Noah Baumbach, Leos Carax, Brian De Palma, Michael Haneke, Abbas Kiarostami, Ang Lee, Cristian Mungiu, Sally Potter, Alain Resnais, Raul Ruiz and Robert Zemeckis. 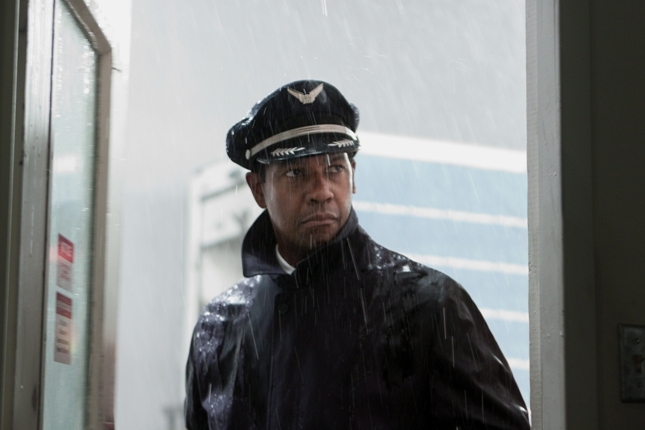 and close with Zemeckis' FLIGHT starring Denzel Washington. The selections include major award winners at major prize-awarding festivals (NYFF itself does not award prizes... other than being accepted), films by important new directors and major returning directors, and films of many styles, from straight-forward narrative, to absurdist, surrealist cinema. The oldest filmmaker is 90 year old Alain Renais, who challenges with YOU AIN'T SEEN NOTHIN' YET. Renais is a returning filmmaker: his film MURIEL, OR THE TIME OF RETURN screened at the very first New York Film Festival! A quartet of World Premieres among the main slate lineup include Alan Berliner’s unflinching essay on the fragility of being human, FIRST COUSIN ONCE REMOVED, joining the Opening Night, Centerpiece and Closing Night Gala trio of Ang Lee’s LIFE OF PI, (Opening Night), David Chase’s NOT FADE AWAY (Centerpiece) and Robert Zemeckis’s FLIGHT (Closing Night). Cristian Mungiu’s BEYOND THE HILLS, a portrait of dogma at odds with personal liberty in a society still emerging from the shadow of Communism, featuring screen newcomers Flutur and Stratan who shared the Best Actress prize at this year’s Cannes Film Festival, where Mungiu also received the Best Screenplay award. The presentation will also mark a return to the film festival by Mungiu (4 MONTHS, 3 WEEKS AND 2 DAYS, NYFF 2007). Two debut features include Antonio Mendez Esparza’s film about the US/Mexican border experience, HERE AND THERE, the winner of the Grand Prize at this year’s Critics Week in Cannes, and Song Fang’s film about a woman that travels from Beijing to Nanjing for a visit with her family, MEMORIES LOOK AT ME, the winner of the Best First Feature prize at this year’s Locarno Film Festival. Miguel Gomes’s surrealist drama TABU was the winner of the Alfred Bauer Prize (for a work of particular innovation) and FIPRESCI (International Film Critics) award at this year’s Berlin Film Festival. Additional returning NYFF filmmakers are; João Pedro Rodrigues (TO DIE LIKE A MAN, NYFF 2009) with THE LAST TIME I SAW MACAO; Olivier Assayas (CARLOS, NYFF 2010), with SOMETHING IN THE AIR; Lucien Castaing-Taylor (SWEETGRASS, NYFF 2009) and Véréna Paravel (FOREIGN PARTS, NYFF 2010), with LEVIATHAN; Abbas Kiarostami (CERTIFIED COPY, NYFF 2010), with LIKE SOMEONE IN LOVE; and -- as mentioned -- the 90-year-old Alain Resnais, whose MURIEL, OR THE TIME OF RETURN screened at the very first New York Film Festival, returns with YOU AIN’T SEEN NOTHING YET. Founded in 1963, the New York Film Festival is North America’s second oldest film festival, launching just as the auteur theory and European cinematic modernism were crashing upon the shores of American film culture. 50 years later, NYFF continues to introduce audiences to the most exciting, innovative and accomplished works of world cinema. Additional special events, sidebars, panels and first–time programs will be announced in subsequent weeks as well as additional programming to complement the main-slate of films, including NYFF’s Masterworks programs and Views from the Avant-Garde, which will include additional works by Main Slate filmmakers João Pedro Rodrigues and Raul Ruiz. The selection committee, chaired by Peña also includes: Melissa Anderson, Contributor, Village Voice; Scott Foundas, Associate Program Director, The Film Society of Lincoln Center; Todd McCarthy, Chief Film Critic, The Hollywood Reporter; and Amy Taubin, Contributing Editor, Film Comment and Sight and Sound. BWAKAW is the film you hope for at any festival, a work by an unknown director that comes out of nowhere to captivate and enthrall with its emotional truth, high humor and sage assessment of the human condition. Filipino cinema great Eddie Garcia gives a career-capping performance as Rene, a 70-plus single gent in a quiet provincial town who, having alienated almost everyone with his caustic comments, is resigned to seeing out his days alone, save for the company of his loyal canine companion (whose name gives the movie its title). Rene has his secrets but is disinclined to share them until he befriends a brawny tricycle taxi driver. Employing frequent outrageous humor, director Jun Robles Lana elegantly captures the quality of everyday life in this backwater while crafting a superior character study of a man who has allowed most of life to pass him by until an emotional jolt emboldens him to go where he's never dared venture before. With her first dramatic feature, writer-director Rama Burshtein has created a work that is very likely unprecedented: a woman's view of Tel Aviv's ultra-orthodox Hasidic community from the inside. Typically, a story about a devout 18-year-old Israeli being pressured to marry the husband of her late sister, would include the option of the woman declaring her independence in the modern fashion. Such a choice is not even on the table in this cloistered, intimately rendered world where religious law, tradition and the rabbis' word are absolute. A graduate of the Sam Spiegel Film and Television School in Jerusalem and Hassidic herself, Burshtein startlingly brings to life a world known to few in this provocative, undeniably talented debut from a most unlikely source. Bill Murray provides a career-topping performance as President Franklin D. Roosevelt in this captivating, winningly acted comedy-drama that pulls back the curtain on the complicated domestic arrangements at FDR’s beautiful New York country estate. Told from the perspective of Roosevelt's little-known sixth cousin Margaret “Daisy” Suckley (Laura Linney), a member of the president's intimate inner circle of women, HYDE PARK ON HUDSON revolves around the royal visit of King George VI (yes, him again!) to the United States on the eve of World War II. In a film both buoyantly comic and inescapably serious, screenwriter Richard Nelson and director Roger Michell (NOTTING HILL, VENUS) subtly examine the tricky dynamics of the chief executive's relationships with his wife, mother and devoted female staff while also taking stock of his ego, shrewd manipulations and consummate ability to win people's favor and confidence—most notably in the case of the insecure young king. It's an entrancing peek at a time when the personal secrets of our leaders were well and truly kept. A Focus Features release. 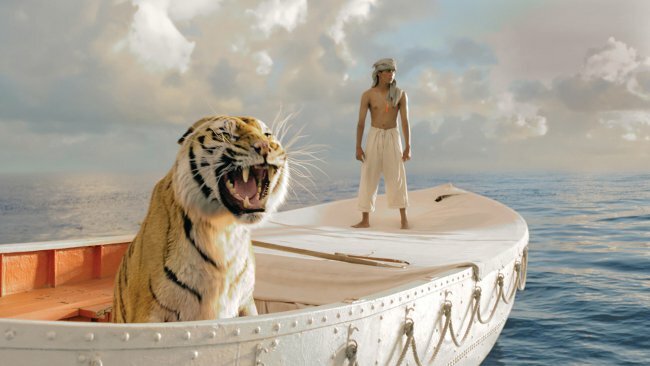 Based on the book that has sold more than seven million copies and spent years on the bestseller list, Academy Award winner Lee's LIFE OF PI takes place over three continents, two oceans, many years, and a wide world of imagination. Lee’s vision, coupled with game-changing technological breakthroughs, has turned a story long thought un-filmable into a totally original cinematic event and the first truly international all-audience motion picture. LIFE OF PI follows a young man who survives a disaster at sea and is hurtled into an epic journey of adventure and discovery. While marooned on a lifeboat, he forms an amazing and unexpected connection with the ship¹s only other survivor…a fearsome Bengal tiger. A Twentieth Century Fox release. TOUCHDOWN CONFIRMED WE ARE SAFE ON MARS. WE SHALL SEE WHERE CURIOSITY WILL TAKE US! Entry has begun. 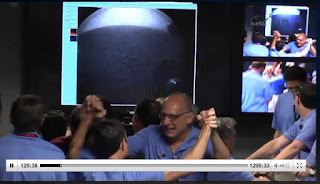 Please keep your seat belts fastened until the Mars vehicle has come to a complete stop at its designated landing space. About 5 min to entry about 7 more to landing.